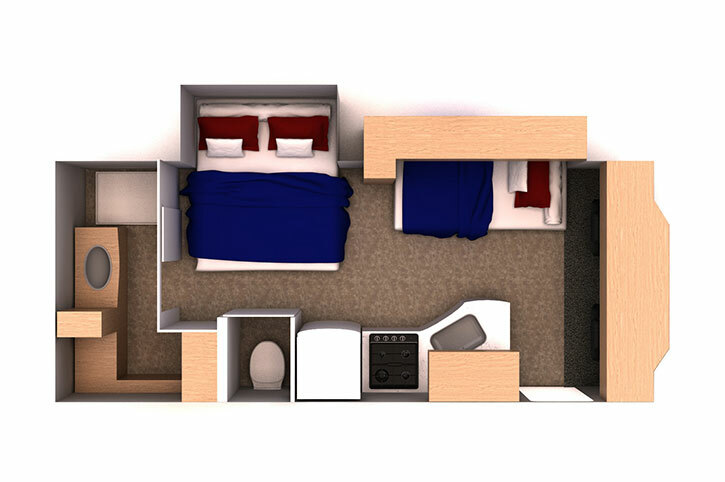 It’s extra space for extra enjoyment. The Super Van motorhome has the comfort, style and features you desire; all in a compact, easy to drive design. It’s an ideal choice for young families and couples. 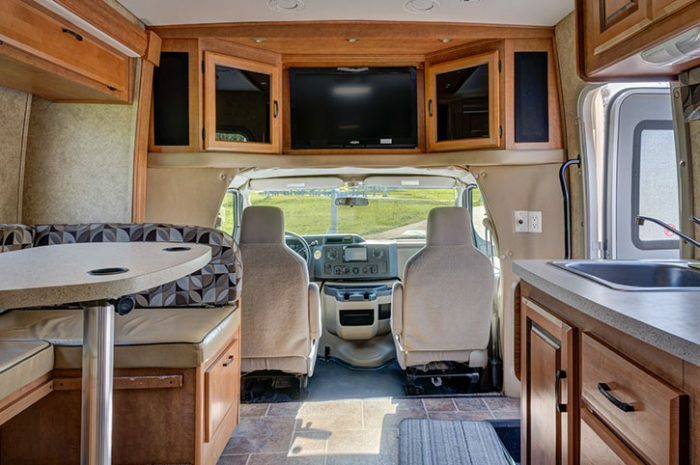 Enjoy your very own, well-equipped home on wheels as you explore the towns, cities and National Parks of Canada. 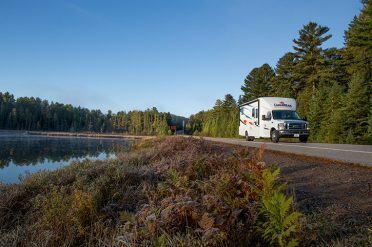 One Way Hire: To make the most of your time in Canada, you can ask to pick up your motorhome in one location and drop off in another. There is generally a relocation charge of around $850. Please note: no refunds for unused kilometres. During holiday seasons and nearer the date of hire availability of the 4 Berth Super Van is limited and prices may rise considerably. Secure your motorhome with a 10% deposit by calling a Canada Expert today. Rates and Terms & Conditions may vary for 2019/20 travel. Motorhome rates operate on a best available price basis, please contact your consultant for an accurate quote. Price does not include mileage, one-way charges or mandatory surcharges. A refundable credit card bond of $750 is required on all hires ($1,500 for drivers 21 to 24 years). You must be over 21 and have held a full driving license for 2 years. 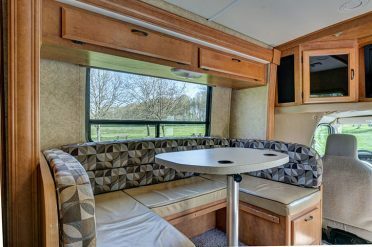 On collecting your motorhome, you will be asked to sign the hire company’s own terms and conditions of hire making the rental subject to a direct contract between each driver and the hire company. A basic refundable security deposit of $750 ($1500 for drivers aged 21 to 24) CAD and the use of a credit card to pay for all local charges and deposits are required at departure. Upon vehicle return, all extra charges are balanced against the security deposit and a credit will be issued to cover the refund. 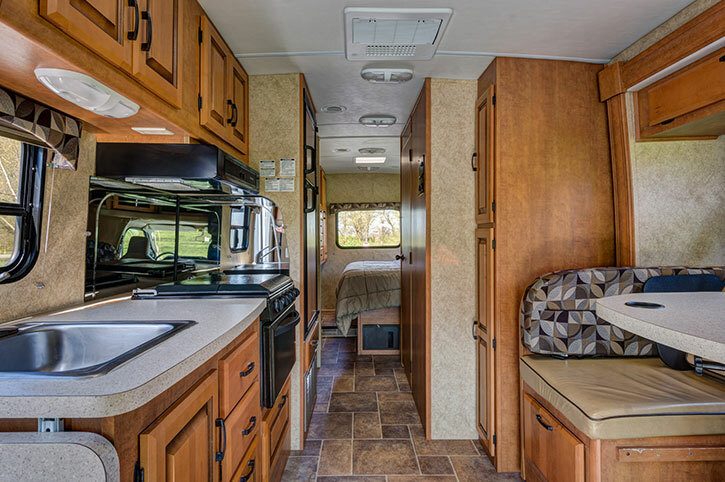 Standard liability insurance, public liability insurance, tax on all pre-paid items, daily rate, convenience kits (includes: comforter/blankets, pillows, sheets and towels), kitchen kit (includes: pots, pans, cookware and crockery), RV preparation fee and on the road support. 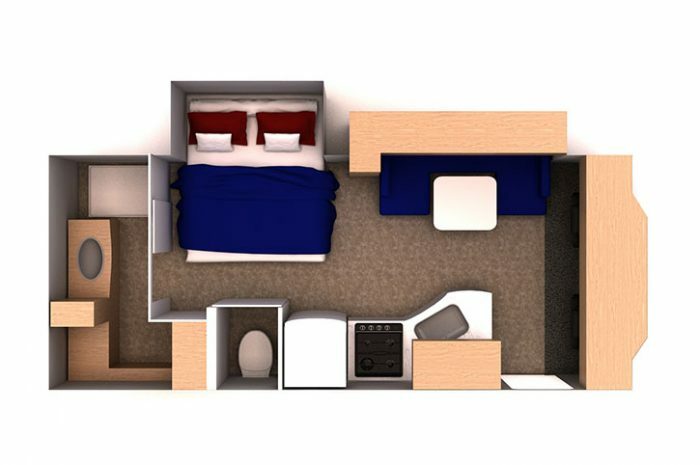 Kilometre charges, optional extras, one way fees and security deposit. All CanaDream vehicles are insured with $5 million public liability and property damage. A deposit of $750 to $1,500 is required on a major credit card for the collision and comprehensive insurance deductibles as outlined below. The deposit is refundable upon the return of the vehicle in the same condition as it was received and not involved in any incident claims. Any Guest that is involved in an incident will have their deposit held (to the maximum charge listed below) for a minimum of 60 days until the incident claim is closed. Claims that are less than the deposit amount will have the difference refunded to the Guest upon closing of the incident claim. The Guest is responsible for the maximum charge detailed below where expenses include, but are not limited to: towing, storage fees, damage to CanaDream vehicle, damage to third party property, injury claims, insurance adjuster fees, legal fees. In addition, a $100 administration fee will apply to every incident. Our insurance does not cover liability for loss of personal property, nor does it cover costs for accommodation, transportation or replacement of vehicle if the vehicle is stolen or should an incident occur that makes the CanaDream vehicle inoperable. In these situations and, depending on availability, a new, signed, rental agreement must be in place before a replacement vehicle is provided. Incidents must be reported within 24 hours and be accompanied by a written accident report and police report or file number. Unauthorized Areas include northern surcharge areas, the USA, and any restricted geographic areas which CanaDream may determine at any time. Without prior permission to drive the vehicle in these areas, there is no insurance coverage; the Guest is responsible for all damages, related expenses and costs; you are subject to a $900 penalty. CanaDream reserves the right to restrict access to specific geographic areas at any time. These restrictions may be applied at the time of pick up. The Guest assumes all responsibility for any expense or loss of time while travelling in restricted geographic areas. Vehicles for travel to the above areas must be expressly requested and confirmed at the time of reservation. Travel on the Dempster Highway in the Yukon is only permitted between 15 May and 14 September. Travel on any part of this highway before 15 May, or after 14 September is not permitted due to road conditions. Guests travel into the United States without prior authorisation. Guests assume all responsibility for any expense or loss of time while travelling in restricted areas. 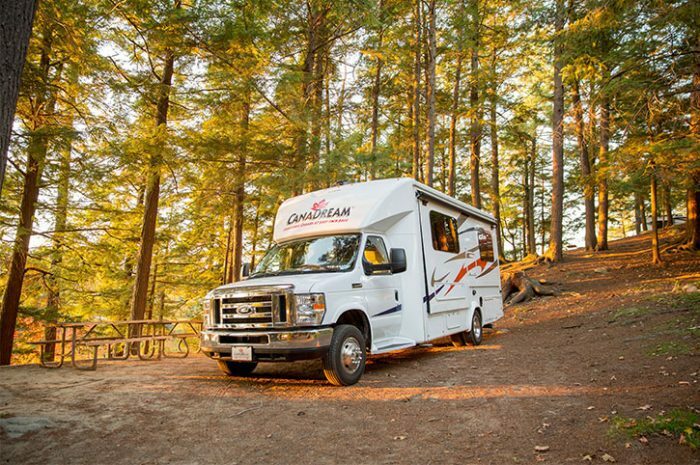 Discover Canada in your own holiday home on wheels. Our easy-to-drive motorhomes are fully equipped and self-contained for the ultimate adventure. Talk to a Canada Expert about booking your Motorhome today.